The most popular summer hike in David Thompson Country and it's even better in the winter! 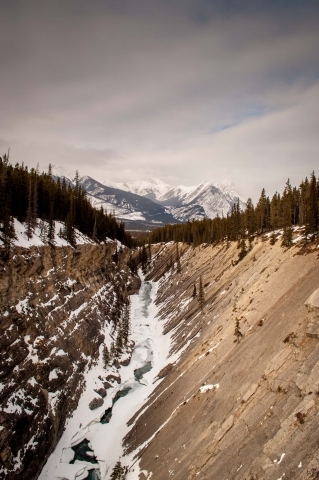 Hike along the Siffleur River with canyons, waterfalls and great views of the Canadian Rockies. The hike starts on the Kootenay Plains along the North Saskatchewan River before taking us along the Siffleur River. 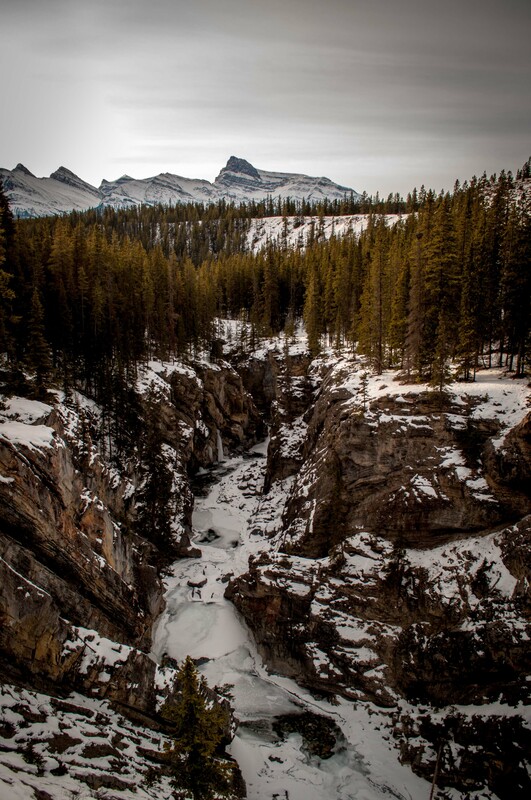 A short uphill section takes us to the top of the canyon where platforms allow us to get great views mount Ernest Ross and the first set of falls on the Siffleur River. The area is particularly dry, making it a great option for a winter hike. 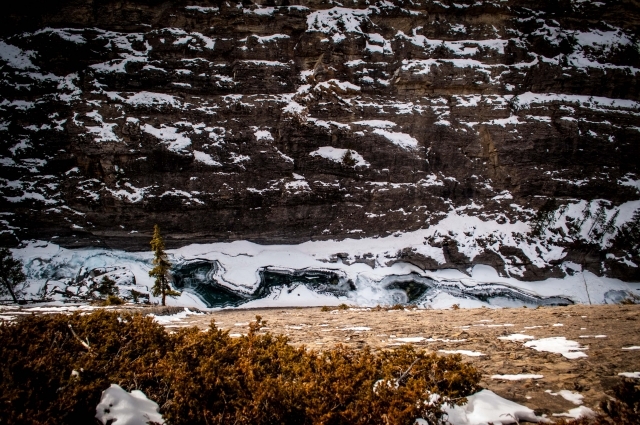 After the hike we're heading out to Preacher's Point out for a short ice walk on Abraham Lake. The now famous methane bubbles make the perfect spot to end the day, enjoying a cup of hot chocolate surrounded by the snow covered mountains. Lunch, hiking poles, snowshoe rentals (if needed), ice cleats and a professional guide are all included. We offer transportation from Red Deer, Rocky Mountain House and Nordegg or you can meet us at trailhead. 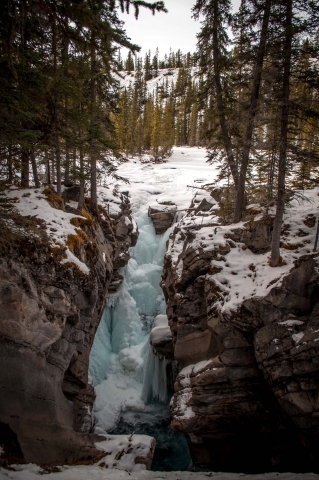 Discover one of the most popular waterfall and canyon in the area. This day trip is open to all ability levels, whether you are a beginner and or an expert. You must be comfortable walking 8+ km in a variety of conditions. This tour is recommended for those 8 and older. 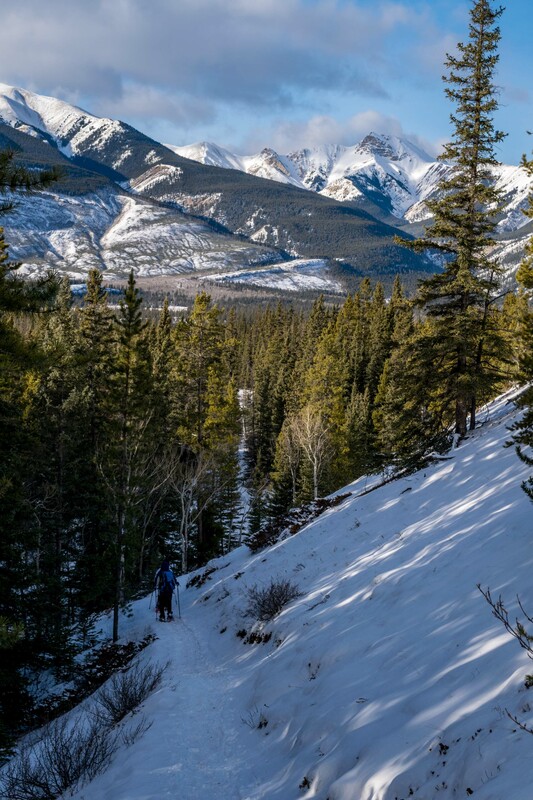 The unique warm and dry climate found in this section of the North Saskatchewan River valley make this a very special place. 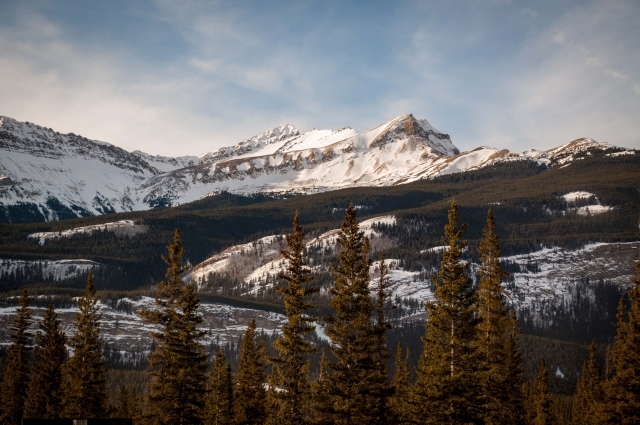 Very little snow falls here compared to the nearby Icefields Parkway, making the area a very attractive winter habitat for elks, deers and other animals. Indigenous groups and David Thompson have wintered in the area. In the early 1900's Tom Wilson used his ranch on the plains to winter the horses used for tourists in Banff during the summer months. Today the area's fragile ecosystem is protected as an ecological reserve, the second highest level of environmental protection in the province. The lack of snow, great scenery and minimal elevation gain make the Siffleur Falls trail a great option for those looking to extend their hiking season into the winter months. 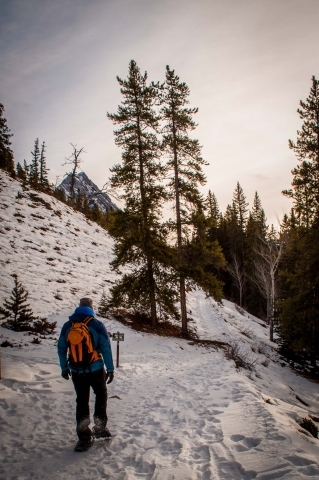 Depending on the conditions, you'll be using snowshoes or ice cleats for this adventure. Either option will give you great traction on the trail. Your guide will share a few tips along the way to help you fall in love with winter. Hiking between the Front Range and the Main Range of the Canadian Rockies means enjoying the sights of mountains resembling the Banff area on one side of the valley and Lake Louise on the other side. Closer to us, the deep canyon with viewing platforms takes your breath away. 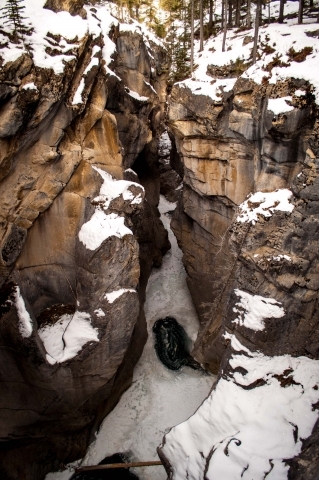 The first glance comes as the trail meanders from the forest to the edge of a V shaped canyon. From there the canyon narrows and the edges more ragged as we make our way from one viewing platform to another. At the end of the canyon rest the frozen waterfalls and our destination for a lunch break. After the hike enjoy a cup of hot chocolate along with housemade marshmallows and graham crackers. 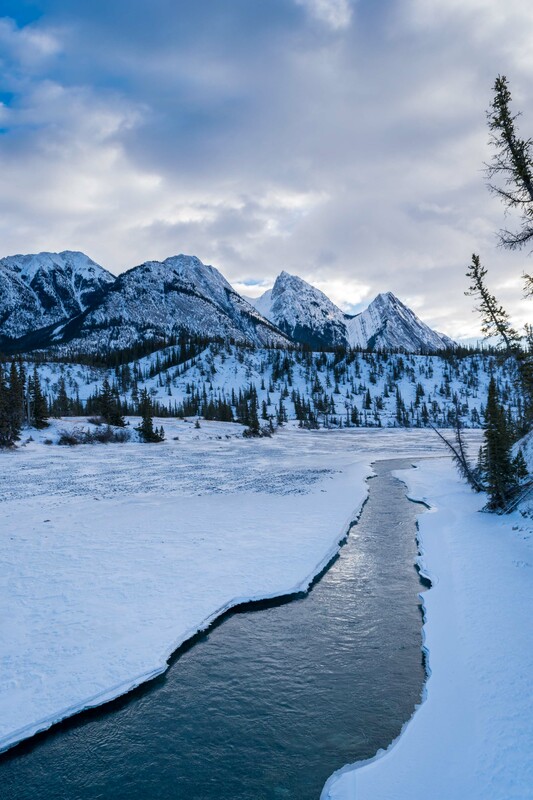 Our last stop of the day is Abraham Lake for a short icewalk to see the famous methane bubbles. Using the same ice cleats you used on the hike, you'll get to explore the area, hunting for bubbles. Don't worry, your guide knows the best and safest spots to check out. The bubbles are usually visible from late November to mid-March with the best time to visit being January. Even when they are not visible, the area makes for a great stop with amazing views of the surrounding mountains and quirky ice features. Guides, snacks, snowshoes, ice cleats and activities are all included. Transportation is available from Red Deer, Rocky Mountain House and Nordegg or you can meet your guide at the Siffleur Falls Staging Area. 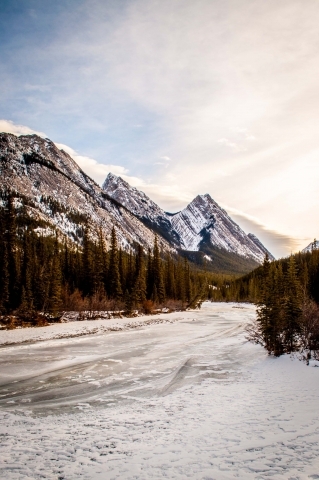 Options from Lake Louise are also available. We provide hiking poles, ice cleats and snowshoes (as required) at no charge for this tour. 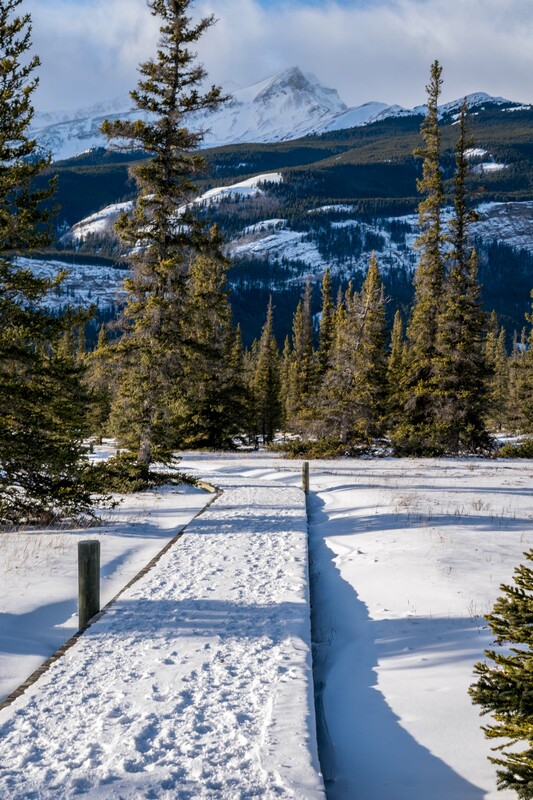 Transportation from Lake Louise is not included but is available as an add-on to the Meet at the Trailhead option. Rates are in addition to the Meet at the Trailhead fees. On this tour the focus is on the Siffleur Falls area. We'll be spending most of the tour hiking. The ice bubble stop on this tour is to one location for approximately 30 minutes. 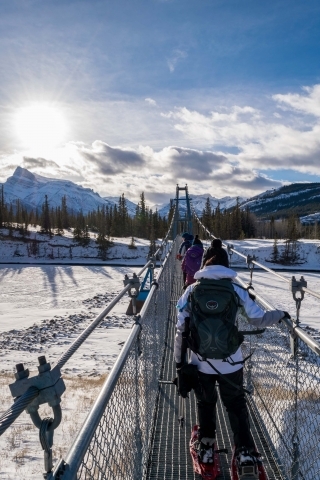 Our other ice bubble tours include a longer ice walk on Abraham Lake.